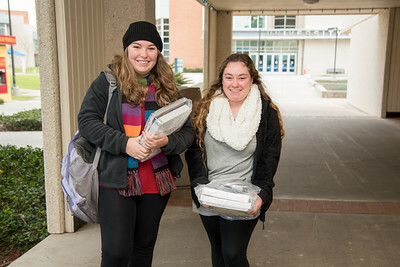 Katherine Cade (left) and Amanda Liserio stop for a photo after getting their textbooks and school materials for the spring semester. 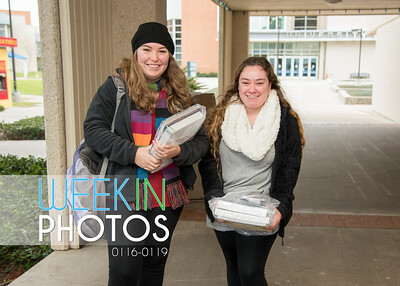 Gabby Johston (left) and Maya Daukas show off their Islander pride during their Intro to Business Environment class on the first week of school. 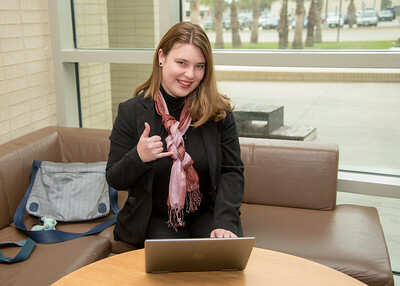 Mekaila Hopkins reads over her Business Law syllabus in the O'Connor Building. 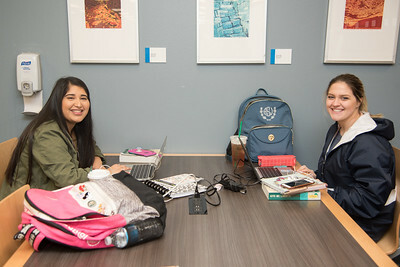 Brianna Arciniega (left) and Alexis West study for their History class at the Mary and Jeff Bell Library. 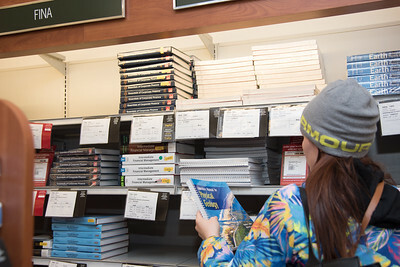 Islander student Katelyn Genach picks up her Geology book from the Barnes & Noble at TAMU-CC. 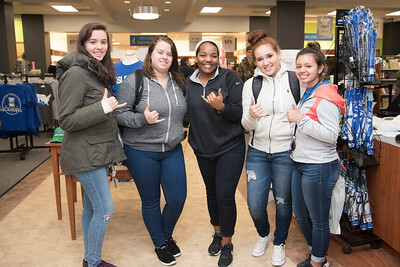 Logean Philbrick (left), Katie Jankowski, Areeona Young, Ashley Moore, and Sabel Sanchez throw some shakas at the Barnes & Noble at TAMU-CC on the first week of classes. 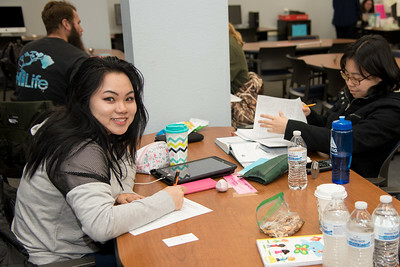 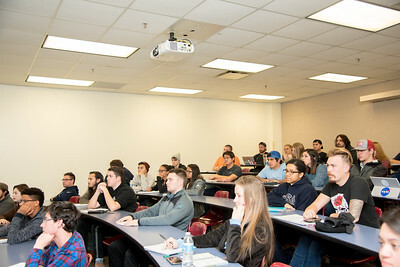 Islander students listen as Dr. Lei Jin goes over the syllabus for Applied Probability and Statistics in the Center for Instruction. 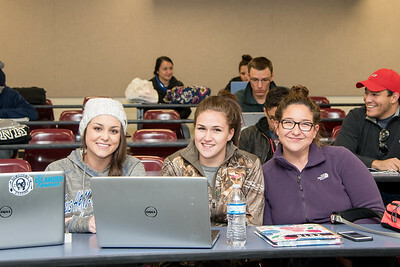 Allie Krueger (left), Morgan Rizzuto, and Marisa Bauer wait for the arrival of their Epidemiology professor on the first day of class. 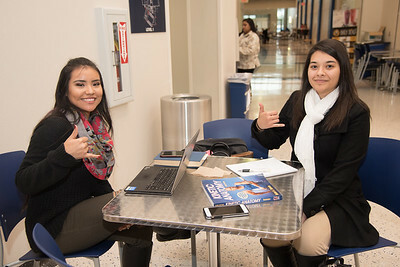 Marielli Torres (left) and Irma Elizondo study for their Kinetic Anatomy and Forensic Psychology classes. 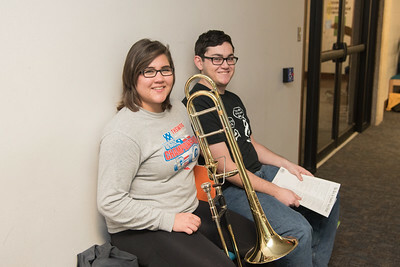 Annalyn Ngo (left) waits patiently for her audition, while Jordan Kuzmack studies for his Symphonic Winds class. 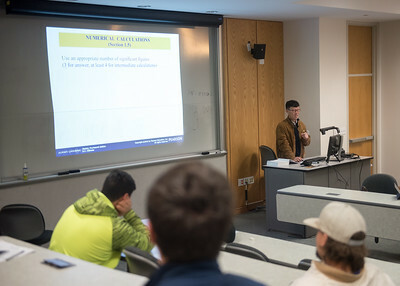 Dr. Jangwoon Park begins his Statics lecture by going over different numerical calculations. 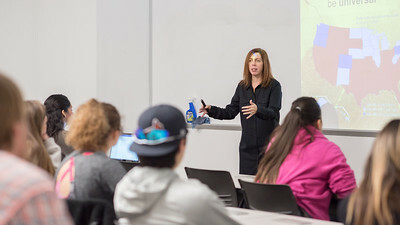 Dr. Stephanie Rodriguez asks her students questions on ethics during Intercultural Communication. 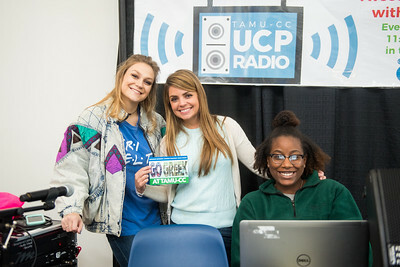 Jordyn McDaniel (left), Mahogany Tas, and Autumn Redmon from TAMUCC University Center & Student Activities, assist with the music played during the Meet the Greeks event in the University Center Rotunda.